CORZETTI GENOVESI (code 58) Retail - G.d.o. 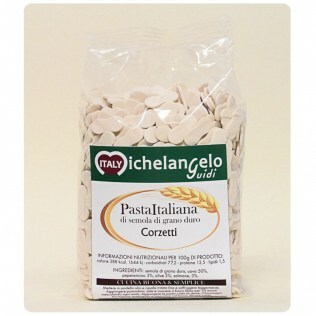 DESCRIPTION: Typical traditional Genoese pasta, it is the smaller version of the more famous Croxetti. 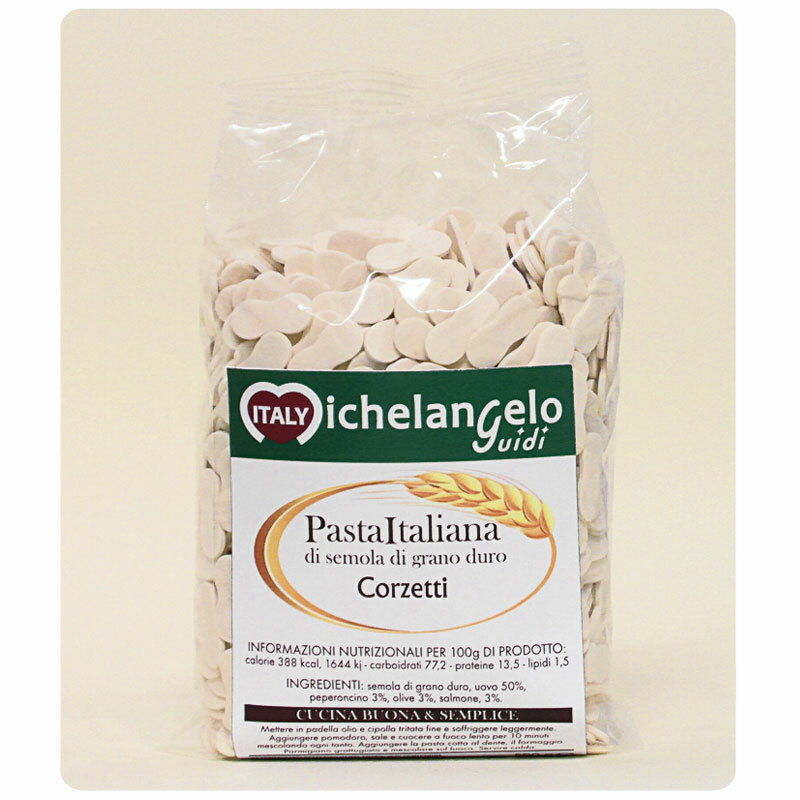 Obtained from a dough sheet by using a small eight-shaped plate, Corzetti are suitable for being served both with broth, such as soup or minestrone soup, and with sauce. All our dry pasta is made upholding the artisan tradition passed on by old master pasta-makers , which contributed to make the tradition of Italian pasta popular worldwide: drying at a very low temperature for highly prolonged periods of time, use of durum wheat flour of excellent quality. FOOD PRESERVATION: Store in a cool and dry place away from sunlight. COOKING TIME: 10 - 12 minutes (“al dente” as we love it in Italy). A few more minutes for those who like it a little softer. COOKING METHOD: pour an abundant quantity of water into a pot by adding coarse salt; pour the pasta into the pot only when the water is boiling; gently stir in order to keep the pasta from sticking; cook over medium heat while paying attention to the cooking time; a minute before reaching the desired cooking (following the instructions or your own cooking style), drain the pasta and pour it into the pan with the sauce you have just cooked; mix and/or toss the cooked pasta with the sauce for one minute; turn off the heat; serve while hot.